This is my third time in Amsterdam, and somehow, going there never gets old. One summer, in high school, I lived two hours outside of the city to play tennis. 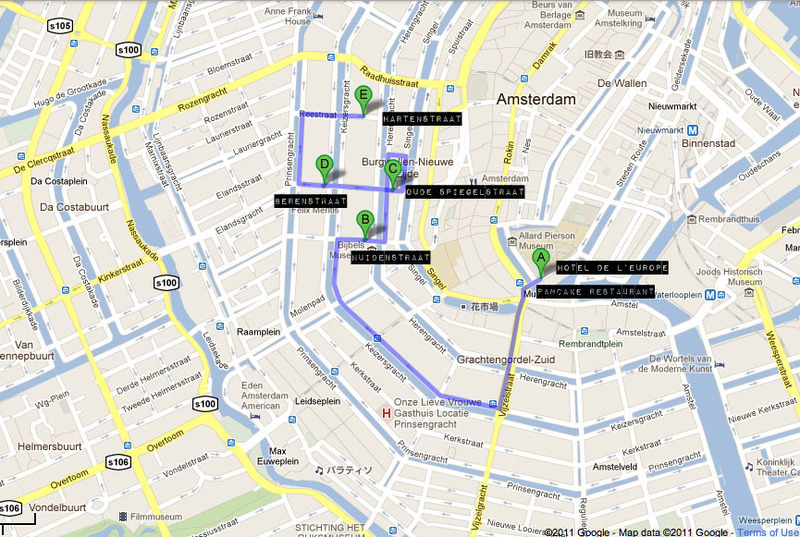 We frequently went into Amsterdam to shop/ hit up the tourist attractions. 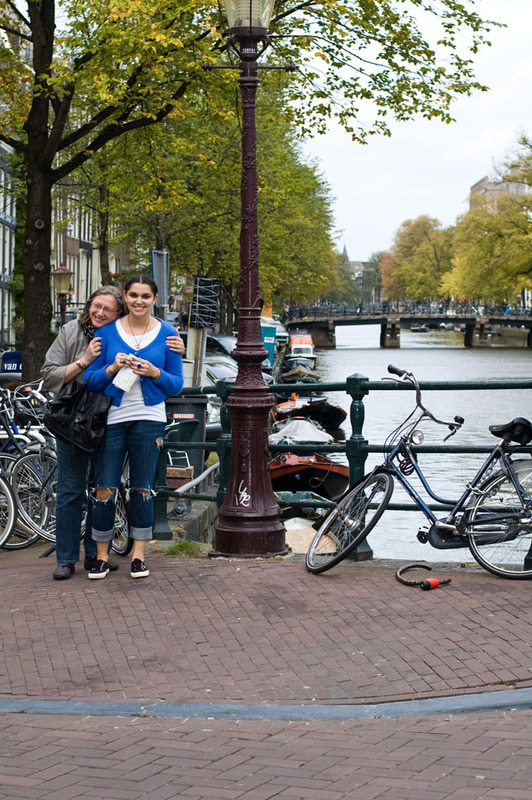 Amsterdam ranks pretty high on my list of favorite places in the world. 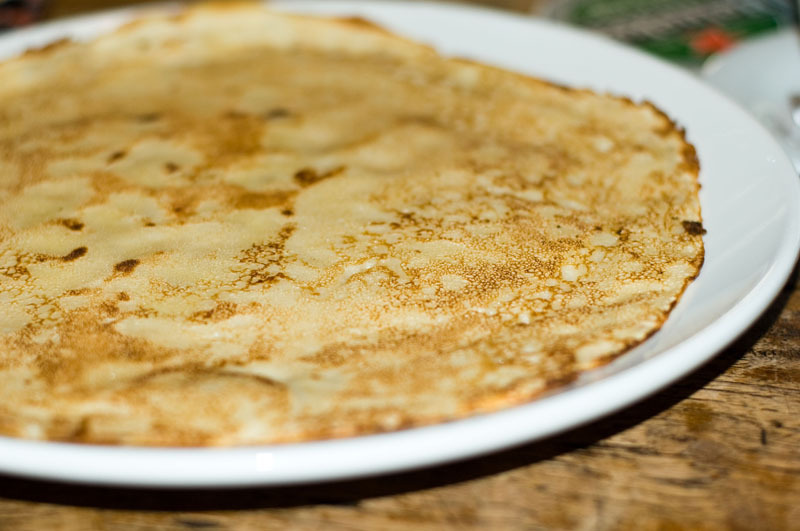 One of the things I remember most distinctly about Amsterdam is there rockin' pancakes. When I say rockin', I really mean absolutely fantabulous. I can't get enough of them. I could literally eat pancakes there three times a day. SO GOOD. 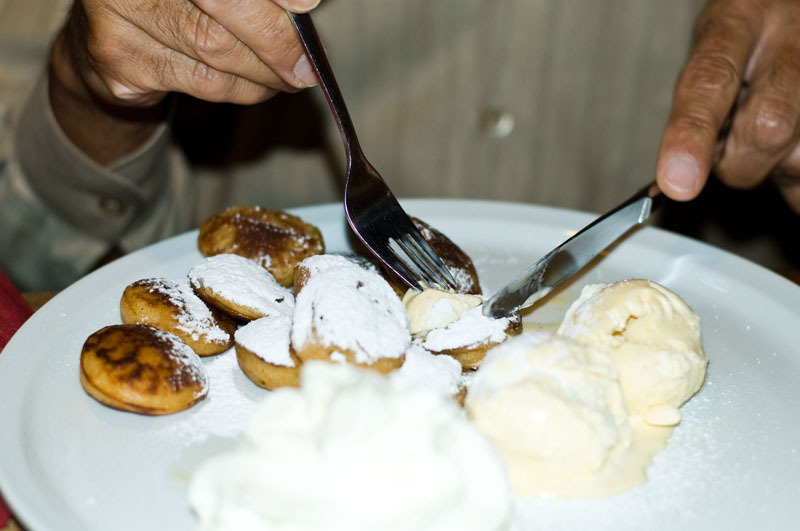 Poffertjes; little pancake like donut thingies that are really heaven in a bite. Oh, I forgot to mention that they're usually smothered in powdered sugar and served with whipped cream or ice cream. UM HELLO, AMAZING. Please bring these recipes to NYC and open up a restaurant right under my apartment. Screw my lobby, put it right in there puh-lease. We landed, dropped off our stuff, and headed out into the streets. I was too excited to do anything else. Exhaustion? I don't even know what that word means. We walked around just perusing the shops; planning our attack for the days to come. A shopping must is this INCREDIBLE vintage store called Episode. It's located on Berenstraat, #1. It had the best stuff. I picked up this incredible jacket that had this huge faux fur collar, it fit me like a glove. Too bad it was a little worn and the parents were remotely disgusted. Oh well. I'm currently looking for a replica but have yet to find one as sweet. One day, one day. 5) Battling tiredness to shop till we literally dropped (I'm a trooper). Check out my most recent GIVEAWAY! Want to know where I am now (cause it ain't in NYC playas)? Check me out on twitter. MMMMMmmm... I want to visit Amsterdam so bad, and those pancakes are making it even worse!! gaaahhh I love your "hello" shirt and cardi combo!! The pictures are really nice, love your sunglasses and the food. MMM YUMMI! After seeing your post I called my mom and said "Can you make me some pancakes?" ... love the tee! Loving the destroyed jeans and oh the food looks so good! 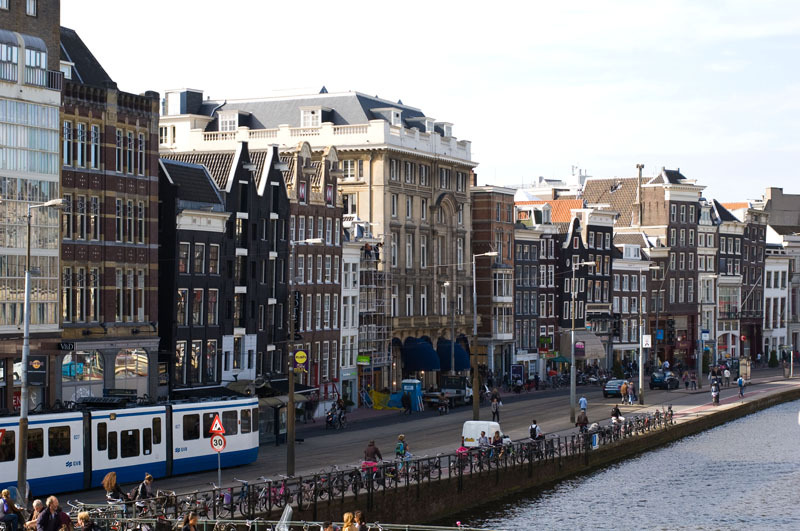 Amsterdam looks fantastic! yummmmy food and love the blue fuzzy cardi! Love the highlight of the day :) nice photos| Take a look at my blog, and if you like it follow me, I’ll be waiting for you! I love the blue sweater! I hope to visit that place someday. Please feel free to visit MomFashionWorld. Just let me know if you like it, maybe we can follow each others blog . Thanks! The pancakes and waffles in Amsterdam are to die for. I'm pretty sure that I gained at least five pounds during my trip this past summer. PS -- I'm also pretty sure that I own the same scarf as your mom. From Urban Outfitters, several years old? 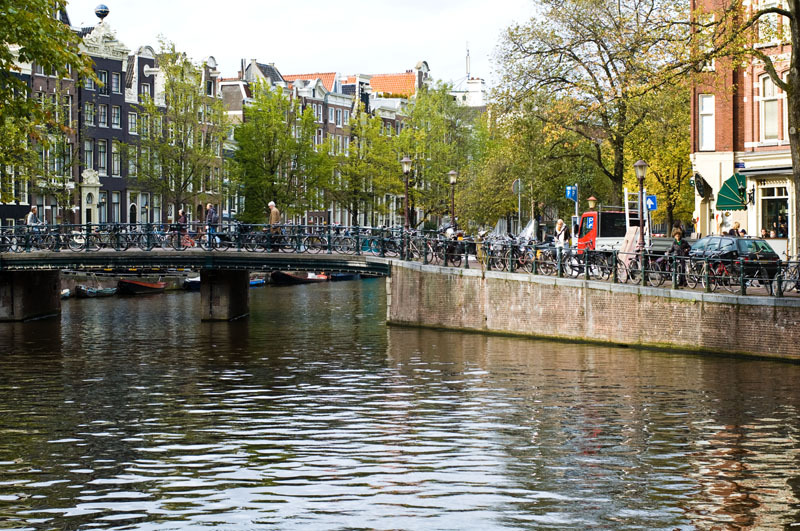 I love the nature in Amsterdam city..It is very much romantic and hence I have planned a 3 day Amsterdam trip with my family..I really look forward to make my trip exciting.